Today is World Suicide Prevention Day. 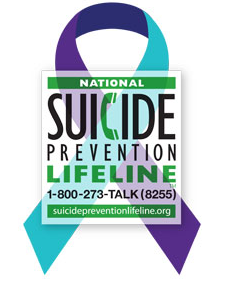 According to WHO, nearly 3,000 people on average commit suicide daily. Suicide rates are at an all time high for veterans. In addition, for every person who commits suicide, 20 or more others attempt to end their lives. About one million people die by suicide each year! In honor of this day, I have decided to share my personal experiences. I would guess that most people know at least one person who has attempted suicide or unfortunately lost someone to suicide. My second experience with suicide was when a neighbor/friend was found on the ground near a tall building with marks around his neck. I remember how devastated I was. I was shocked to hear of his death and in the way he did it. He must have felt very lonely. I had not seen him in awhile, but really didn’t see him as a person who would do such a thing. It just goes to show we have no idea what people are going through. I wonder now if he had gotten help if it would have changed anything. I did not judge his as I understood that dark, hopeless feeling. You don’t want to hurt your family, but yet the pain is so great that you just don’t see another way out. My third experience with suicide was when I learned of a family friend’s death. He had eaten dinner with his family. They had a regular conversation and there was no sign of any distress. His parents had no idea that pain he was in. He went upstairs into his room and shot himself. I can’t imagine the horror his parents went through when they heard the gun shot and the events that followed. Not to sound graphic, but it is a reality: I remember hearing about how they had to hire someone to clean up all the blood. Our family had moved away at that point and weren’t in as much contact as we once had. However, I had fond memories of us all playing together. I remembered his parents as happy people who loved their four kids. I did see them years later. It was sad to see how much their life had changed. They had to move on, but I know they never got over it. How can you? They had become alcoholics to deal with the pain and were no longer working due to the depression that overcame their lives. For the person who kills themselves, it feels like it is the only way out. Are they being selfish or a coward? Some may think so and I can see their point. However, I don’t think so. Oftentimes, they feel like the world would be a better place without them and this is part of the depression. It is a symptom of the disease that they have just not been able to overcome. There are a lot of what ifs? and people who loved them left behind. It is really sad that the pain trumped the feeling of wanting to stay alive for the people they loved. I am not proud of my attempt and have spent 25 years thinking about what I could have possibly put my family through. That is why I have never attempted it again. At the time, I was not being selfish as I was so deeply depressed my mind was just capable of rationalizing anything. I did not want to hurt my family, but I just did not see any way out and really believed that they would be better without me. I know some people think that is cowardly to take your own life. However, as sick as this may sound, it took a lot of courage to finally decide to end it all. I still can remember like it was yesterday. I was sitting at the table and had two bottles of pills laid out in front of me. I took handfuls at a time and took them with water. I went into my room and laid down on my bed knowing I would not wake up. In fact, when I did wake up throwing everything up, I really was disappointed. The pain was going to continue. That was how dark things were. Now I think that I was lucky that my life was spared. I think how much I would have missed if I had succeeded in taking my own life. However, at the time I was so discouraged and disappointed. I decided to tell my story to raise awareness, but to show a different side of me that I don’t share very often. It is a reality that there is a suicide every 40 seconds. We need to talk about it! We need to share with others the devastation that families left behind endure. It is important to tell the stories of how people who attempted to take their own lives regret it later. Talking about it can be triggering to others. However, if we don’t talk about it, the rate will increase. This entry was posted in Uncategorized and tagged bipolar disorder, depression, personal experience with suicide, robin williams, suicide, suicide prevention, suicide statistics, World Health Organization, world suicide prevention day. Bookmark the permalink. 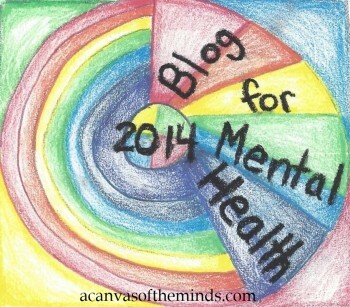 Nice to have found your blog, and thank you for sharing. I struggle with depression, and I find that it is so easy for others to judge, saying that someone wishing to commit suicide is selfish. When a person is at that low a part in their lives they are not being selfish, it is a mental illness that takes over and all the person can see at that moment is a dark tunnel with no light at the end. I try to encourage others to talk about their feelings and to reach out. It sounds like you are a great advocate and are doing wonderful things. I hope that you continue to encourage others and keep your positive attitude.